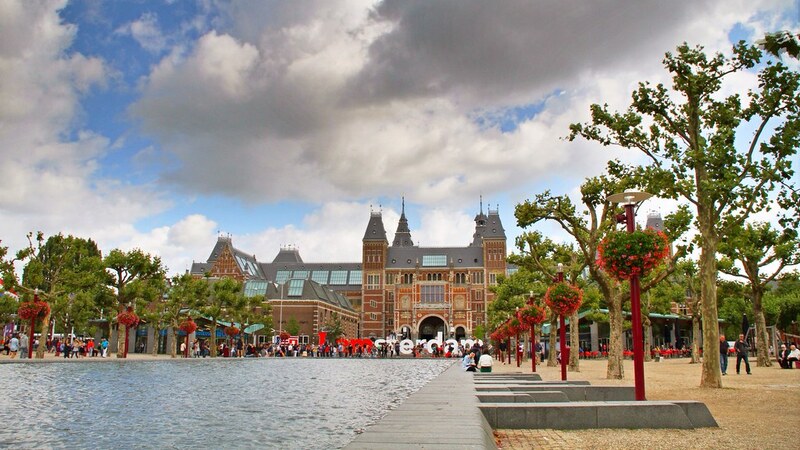 Amsterdam’s Museumplein park is, as you might imagine, ringed with museums. Beyond the pool in this photo is the Rijksmuseum. Snapped this image on a long layover back in August 2014.